You are here: Home / Special Guest Blogger / Delice Sauerwald: Dads are just as important as Mums! Dads are just as important as Mums! Dads help create life and, together with their partner, mould their children into awesome people. In my experience, the past two decades have brought about major change in the way in which men are included in the birthing process. Men are able to be more involved – and they want to be included. Having an understanding of how the baby is developing and how the pregnant mum may be feeling gives dads better insight into how to be helpful. Dads can be the voice when their partner is in labour; helping them physically and emotionally during an amazing time in their lives, becoming parents! When a woman has a supportive, well-informed partner, breastfeeding is more successful. Dads can help with settling and bathing their little baby and take on house duties. As a midwife, I have the privilege of witnessing the impact of birth on new parents and help them care for their new baby. Interestingly, when I conduct an antenatal class, I ask dads to raise their hand if they have been asked how the growing baby is going? All the dads put up their hands. I also enquire if they’ve been asked about the mums-to-be, and they all raise their hands. Then I ask how many have been asked how they are going through the pregnancy. Sadly, very few put up their hands. There are many services for mums-to-be and I’m very pleased SMS4dadsSA is now here for expectant dads. It’s an awesome SMS support and advice service which is helping dads to feel important and encouraging and assisting their involvement and connection with their child. SMS4dadsSA also helps dads understand how the baby is developing and how to best support his partner after birth. Post natal depression is known to affect men as well as women. Having supportive messages may help reduce the impact and identify those men needing assistance. If you are an expectant father, find out more information or register here for SMS4dadsSA. If you know of an expectant dad who may be interested, encourage them to find out more. Delice Sauerwald started nursing in 1980 but has wanted to be a midwife since she was 7. A registered nurse, psychiatric nurse and midwife, Delice says she’s been living her dream for the past 30 years. She loves her work, is passionate about good quality care and feels privilege to be part of a team helping new families. Delice currently works at North Eastern Community Hospital as a midwife in the labour ward, nursery, antenatal and postnatal areas and teaches student midwives at UniSA. 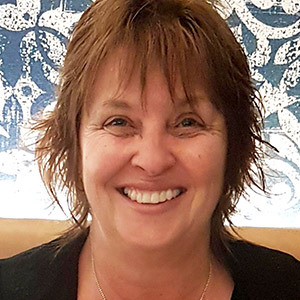 With a graduate diploma in health counselling and childbirth education, she has conducted antenatal classes for the past 23 years and is president of Childbirth and Parenting Education Australia (CAPEA) SA branch.